High-quality hand wash, affordable prices. 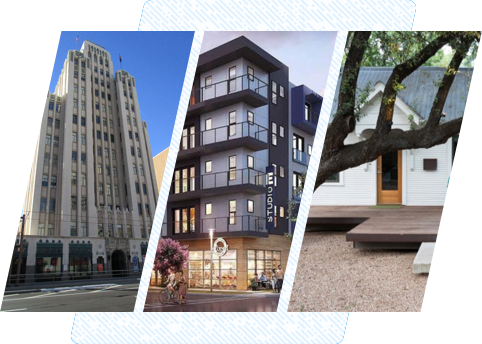 Get washed right where you parked at your office, apartment, or home. NuWash is rated 4.8/5.0 in customer satisfaction. Here’s how it works -- just go to our website or app and let us know where, when, and how you’d like your car washed. 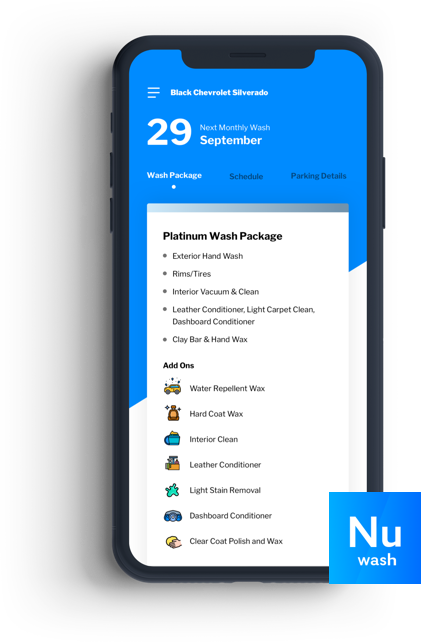 A NuWash technician will come to your car and wash it right where its parked. A clean car has never been so easy. Choose the package that aligns with your car wash needs. All packages can be customized. We wash overnight at your apartment. At your office while you work. Or at your home anytime. Easily reschedule anytime. Park where you normally do. Your car gets washed right there. For interior access, leave it unlocked or request to be contacted. You walk out to a clean car and never wait at the car wash again. Anywhere, anytime. At your office, apartment, or home. Easily schedule and manage your bookings online or from our mobile app. No key transfer with our technicians. Leave your car unlocked or request for your technician to contact you. Save your time for the important things in life. We come to you - quit wasting time at the car wash. Enhanced wash quality and safety for your vehicle. Our professionally trained technicians hand wash your vehicle. Every wash is backed by our 100% NuWash Happiness Guarantee. Manage everything online or with our app. Easily book, manage, and pay online or from our mobile app. 24/7 customer support when you need help. From a simple wash to a complete interior and exterior detail, we bring a complete car wash and detail experience straight to you. We have a 100% NuWash Happiness Guarantee! A clean car and your happiness is our top priority. If you’re not satisfied with your service, we’ll do everything we can to fix it. Call or or message us any time -- we’re here to help! We keep commercial vehicle fleets clean and fresh. Let our fleet wash technicians take care of your car care needs while your fleet isn’t in use. Looking for the best car detailing near you? Let our car detailing technicians detail your vehicle onsite at your office, home or apartment.